Inside Llewyn Davis, a 2013 film co-directed by brothers Joel and Ethan Coen, follows the journey of a folk singer in the early 1960s in New York City as he attempts to build a career and a life. It’s a challenging film for the viewer in that the lead character, Llewyn Davis, played by the insanely watchable Oscar Isaac, seems bent on doing everything in his power not to have the career he so desperately wants. As is the case with all of the Coen brother’s films, it does not fall into any one particular category. It is part musical, part comedy and tragedy, and of course, a well-acted drama that stays with you long after the film has finished. 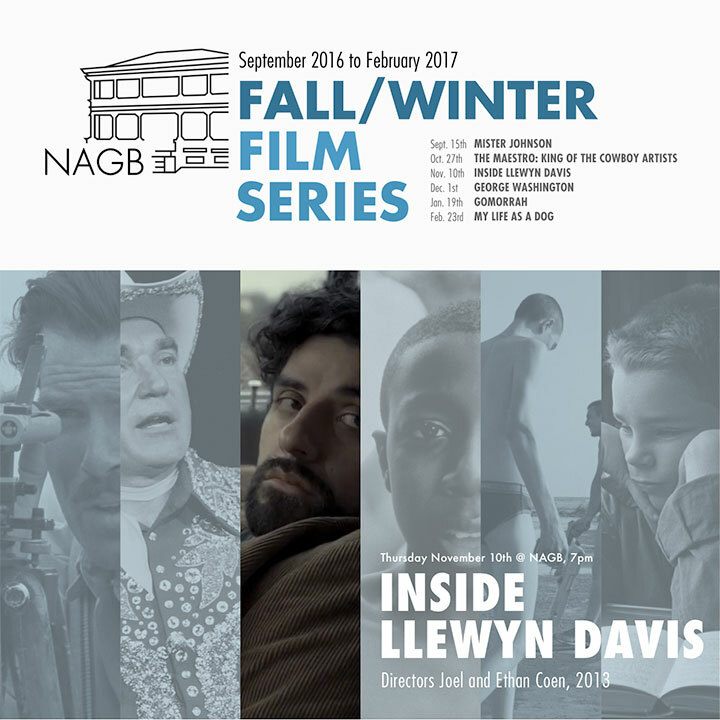 Inside Llewyn Davis screens on Thursday, November 10 at 7 p.m. All films are free to attend and to make your experience that much more enjoyable, we will be offering popcorn and refreshments for sale.